SEO Monitoring Tools - Blackrock Networks, Inc.
Our SEO Monitoring tools allow you to track various ranking factors to help monitor your website traffic. The tools help automate tasks that used to be done by hand. 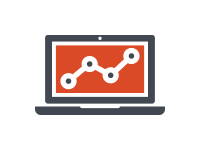 Use our analytic tools to research competitor traffic and monitor your own sites performance.